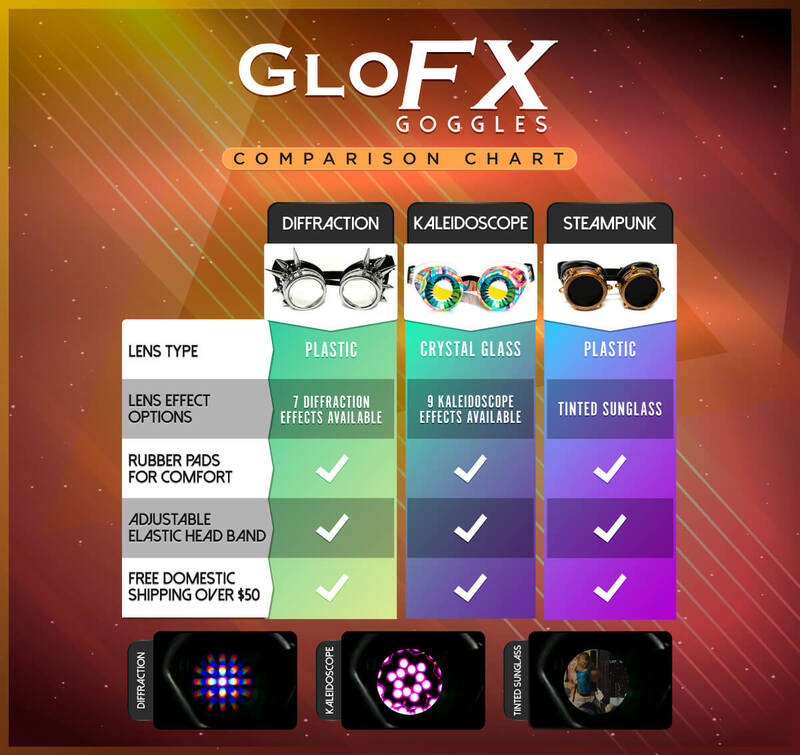 GloFX Party Animal Diffraction Goggles are perfect to add some flair to your rave outfit and unleash your inner animal! Our crystal clear diffraction lenses turn lights into bursting rainbows, and with 7 different effects to choose from, you will find a pair to blow your mind. Complete your perfect pair of diffraction goggles with a rim of vibrant fur. These furry goggles are perfect for any music festival, rave, or show – no matter how wild! Our fur was grown on and trimmed from our four in-house unicorns, each of them producing a unique color pattern. As a result, you can choose from Neon Night, Cotton Kandi, Sliiime, or PLUR Fur to add some funky and flare to your goggles. Have no fear – GloFX is 100% cruelty-free, and we can assure you that no unicorns were harmed in the making of these goggles. Disclaimer: Our PLUR Fun unicorn is very unique and produces a variety of colors in her mane. The PLUR Fur colors may vary depending on the time of year the fur is trimmed. This creates a one-of-a-kind pair of goggles for each Party Animal.